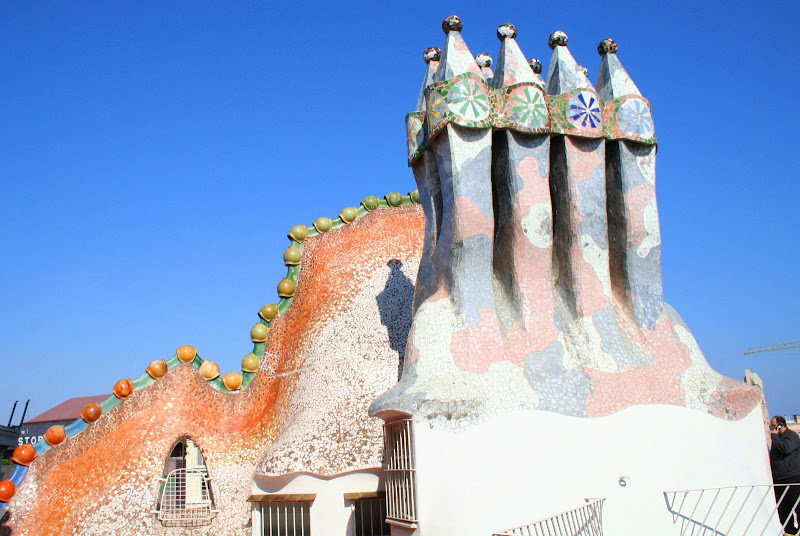 Great shots-- I have to agree with you that it would be hard to top that casa battlo roof! Also really liked the roofs in Provence & the gingerbread house; & love your flag! I'll be back for nibbles during the day but have to tell you I came *this* close to using that same Camus quote on the Ici Graulhet blog yesterday. Loved the Irish Blessing paired with that photo. A pretzel fence... I love it! love the bardot quote. like to think i get a little wiser as i ripen. beautiful roof pics as usual. well played. Ah, I love Gaudi's work! Casa Batiló is a classic example of his work. And I really love the Irish cottage with the thatched roof; I so wanna live under a thatched roof! Great collection of roofs, Kim! kimy, love the Chaucer quote (hey, I have that book! ). Marvelous pics! Quite a collection! Great pics!!! Beautiful photos of roofs...there is such a variety! Love the thatched one and the irish blessing to go along! One of my favorite songs ever written. Love the roofs and quotes too! Makes me feel cozy just looking at these pics. Love the gingerbread house so much! The thatch-roofed house looks just like the houses in Dundon, Somerset County, England, where I used to teach witch camp. I agree that the roof of Casa Battlo is the most dramatic, and even grander than Casa Mila. Both are wonderful, and I would love to go back. 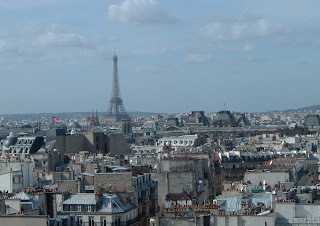 I completely agree that Paris has beautiful roofs. And, as a movie fan, I watched The Deer Hunter one night because I felt "I should." I meant to only watch half of it but I was hooked and had to watch the entire thing, it's so good. Interestingly, John Cazale, who was engaged to Meryl Strep was in 5 "5 star" movies in the 1970s. Great post. Glorious photos, Ms. Mouse. And the Angelou quote is so powerful!!! love it, i need that peace flag! Wonderful. Love your house, it's so 'American'. Rather fancy the flag too! I'm sort of hoping that as I ripen, I get a little wiser! Great shots and quotes. I loved all of them! I loved the pictures and the variety of the roofs. 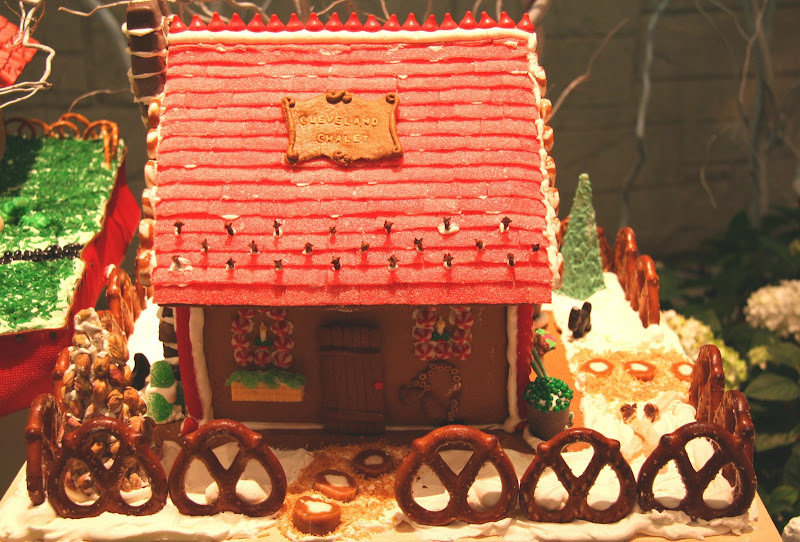 I could eat the gingerbread house. It looked so good. I too could not watch the Deer Hunter. I have problems with watching all Vietnam War movies. Being a vet of that war and knowing all the stories from the men who went over there, I just cannot do it. Hubby can watch them, but I cannot. He's a vet from then too. I can watch other war movies, just not these ones, they hit too close to home I guess. Thanks for sharing the pictures, I like your roof. I think we should go to Hibbing in the dead of winter . Get a group together of true Bob appreciators start in Detroit maybe, from there we can rent a car. Your photos always make me want to go travelling! My your pics and your quotes arouse me! Wonderful as always! thanks for all the positive feedback on the photos and quotes. it doesn't seem as if folks are bored (yet?) with my tt formula! I have great fun mining my photos for themes and then finding just the right quote for a particular picture - although I know one of these days I will be completely stumped! it is always lovely to read when folks connect with one of the pictures - because they may have been to that place, or it reminds them of a pleasant memory of somewhere/ someplace important to them. mrsupole - it seems we are the same when it comes to films - I do have a much, much more difficult time watching wars about the vietnam war than any other...it may be the same for me in the future about iraq war films - I know they have already started making films about iraq and despite my being a movie buff, I can't bring myself to go to any of them. squirrel - your idea about visiting hibbing in the midst of winter sounds great... however, the thought of driving to hibbing at that time of the year doesn't sound very attractive to me. I think I'd prefer a bus or train! train travel is fun, I wonder if there is a train to hibbing? they were definitely be a greyhound going to hibbing, afterall the greyhound bus museum is located there! sounds like something to work toward! "CAKE" [in my best Holmer Simpson voice]! And Bob!I was humming this tune all Thursday! Kimy, your post gave me wings! I felt as if I'd visited all those places, just sitting here in my study. Funny how much the Guadi resembles the gingerbread house except in scale, an enormous confection. I don't know how I missed this before but great roof line shots and quotes. You have traveled widely and seen much. Thanks for sharing through your lens. Is TT off for next week? Couldn't find a new theme.